Since the inception of digital marketing learning SEO’s concepts and mastering it has become a vital and important aspect of almost all websites in this day and age. 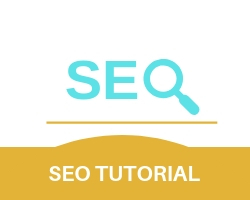 Here I will help you to learn SEO step by step starting with its basic definition which stands for search engine optimization which is a systematic and calculated process where we can affect the visibility of a website by improving the search results a web search engine calls as unpaid. These unpaid search engine results also are called as “natural”, “organic” or “earned”. Now before we proceed to learn SEO we must first understand the role of SEO and how it helps web design. The websites which ignore SEO primary guidelines will have the following negative effects. Even with quality content, the website will suffer when it is not ranked at the top of the search results.